Cooling tower or aptly the heat rejection systems are popular among large industrial settings. These systems aid in cooling the over-heated water that is a residue of the industrial processes. But, one should never overlook to treat the water that enters the cooling towers. Be it tower scaling, fouling, or particulates accumulation; everything is liable to reduce the life of the cooling tower. This is where cooling tower water treatment comes into the picture. 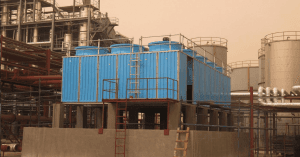 To ensure that the continuous flow of water is maintained in the cooling tower and its quality does not deteriorate, treatment becomes essential. Read on, to get your facts about the water treatment process, in detail. When water is let into the cooling tower, with time it leads to the forming of bio-film of microorganisms, around the cooling tower walls. Micro-organisms such as fungi, bacteria, and algae are likely to minimize the efficiency of cooling tower operations. That is why; it is essential to undergo cooling tower water treatment. Some chemicals and procedures are implemented to reduce the formation of any unwanted particulates. Also, some technologies aid in doing away with the impurities that can lead to cooling tower downtimes. Another reason to undergo water treatment is to avert the formation of breeding grounds of Legionella. These are bacteria that lead to a serious disease called, “Legionnaires disease.” This is one disease that is likely to spread among human beings as a result of evaporation of impurity ridden cooling tower water. Studies point out the fact that the bacteria are capable of traveling up to six kilometers in the air around the vicinity of its escape point. The inhalation of the mist that carries Legionella is likely to cause infections that could even lead to death. Thus, for safety measures, it becomes important to treat water present in the cooling tower. 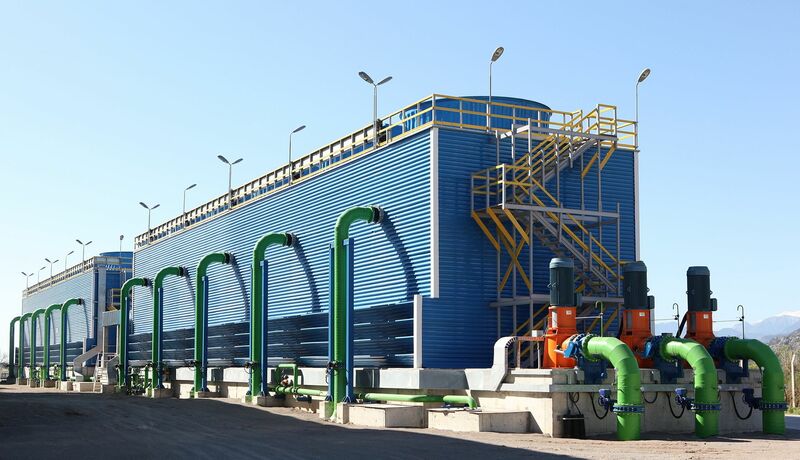 Now, that you know why is it essential to undergo cooling tower water treatment, it is essential to understand the corresponding process that follows. For instance, water enters the round cooling tower. The next procedure that follows is of filtrating it. This step aids in the elimination of the suspended particles from the contaminated water. Be it solid particulates, sediments, or granules; removing all of them is essential. If the water that has entered the cooling tower is found to be hard, it is mandatory to soften it. Generally, a softening resin is utilized which is then charged with a sodium ion to do away with the hardness. It is important to deal with harnesses it is liable to cause rusting or scaling of the induced draft cooling tower. Chemicals such as bicarbonates, bromine, and phosphoric acid are utilized for the water treatment process. Bicarbonates act as corrosion inhibitors to counterbalance acidity, bromine acts as a biocide to mitigate the growth of bio-films, and phosphoric acid acts as a scale inhibitor to prevent scaling. In case, the prior processes are conducted with the utmost efficiency, the use of chemical treatments would be reduced. This, in turn, would be the best owing to the higher expense associated with chemical usage. When you consider the cooling tower water treatment process, it is always good to know what and why of the same. Lastly, look for water treatment system providers who have years of experience and expertise. 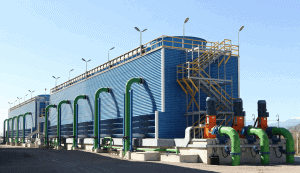 PreviousPrevious post:Understand the Working Principle and Types of Cooling TowersNextNext post:When Do You Need A New Cooling Tower Water Treatment System?